Do you need a Roof wash in Palm Beach Gardens, Florida? 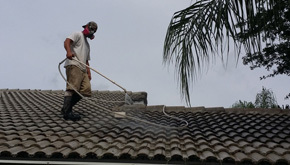 Oliver Twist Pressure Washing is also happy to offer our roof cleaning services to all of our clients, because nothing damages a roof like mold and algae, which is something you will see a lot of in the warm Florida climate. On average, a roof on your home should late between 15 to 25 years when cleaned and cared for properly. No matter whether you have a shingle roof, a Spanish tile roof (Barrel Tile roof), our professional team is highly trained to get it clean. We know how unsightly those roof stains can really be, especially when you’re looking at your roof and all you can see are those black streaks that will eventually consume your entire roof. Many people think this is just dirt staining their roof, but it’s not. In fact, it is actually a form of algae, known as Gloeocapsa Magma. 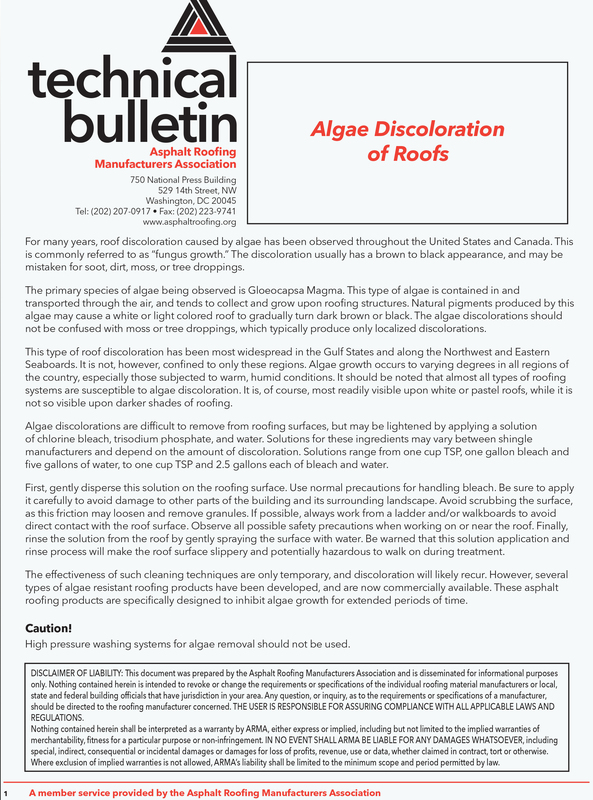 This algae will not only stain your roof, but also cause the roof to deteriorate prematurely. This will lead you to have to replace it. A new roof will cost you thousands of dollars, so instead of spending all that money for a new roof, just get the beautiful roof you already have cleaned and free of the algae stains. We’re able to get any other stain imaginable off of your roof as well, including but not limited to bird dirt, mold, dirt and debris and even rust stains. We can easily revitalize your roof and have it looking new again in no time at all. We will get the stains off with our high quality, bio-degradable cleaning solutions, combined with a type of pressure washing, called soft washing. Most times, we will be able to get your roof clean without ever having to actually set foot on it. Please keep in mind that by cleaning the mold and algae off of your roof, you are making your home safer for your family and children as well. Studies have shown that the algae that accumulates on roofs in the warm, humid Florida climate can be hazardous to your health. Algae can cause allergies and is extremely dangerous to elderly people, as well as young children with asthma or other respiratory illnesses. The spores from the mold and algae can eventually make their way inside your home and pollute the ducts. By calling Oliver Twist, we will be able to spare you all of the stress and hassle, cleaning your roof in just a day. We are one of the leaders in the pressure washing business, and we honestly recommend getting your roof cleaned on a yearly basis to ensure its longevity and make sure that your home looks its best. We have already cleaned hundreds of roofs in the Palm Beach Gardens area of Florida and we hope that yours is one of our next jobs! Give us a call today for a free estimate with no obligations.